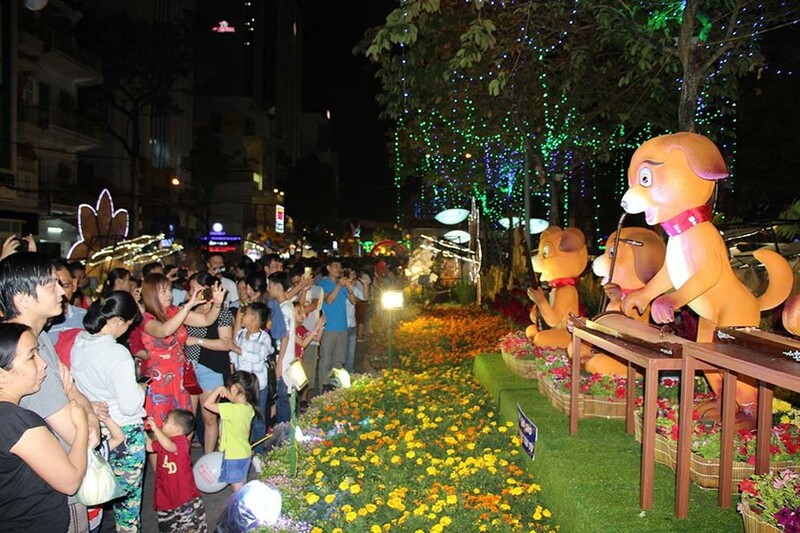 Can Tho flower street and art lighting street opened on February 12 (on the December 27th of the lunar calendar). 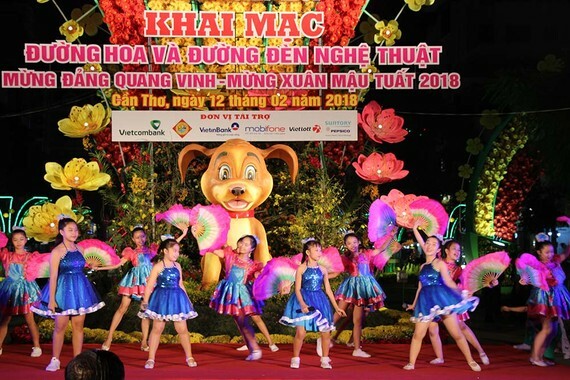 The 310-meter long flower street is organized on Vo Van Tan and Nguyen Thai Hoc streets under the four topics, “Uncle Ho and the country’s spring”, “Tay Do and new constructions”, “Travelling to Can Tho in the Spring”, and “The lengend of Tet – Tet on islands”. Meanwhile 30/4 street in the heart of the city is decorated and lighted up with the art lighting system. 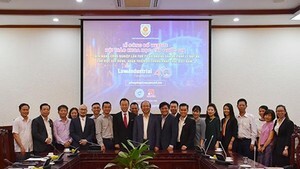 The “Lighting streets” will end on June 30.